Before National Signing Day: who does USC have now? National Signing Day is tomorrow, and the Trojans are looking to make up ground in a competitive Pac-12 recruiting race. 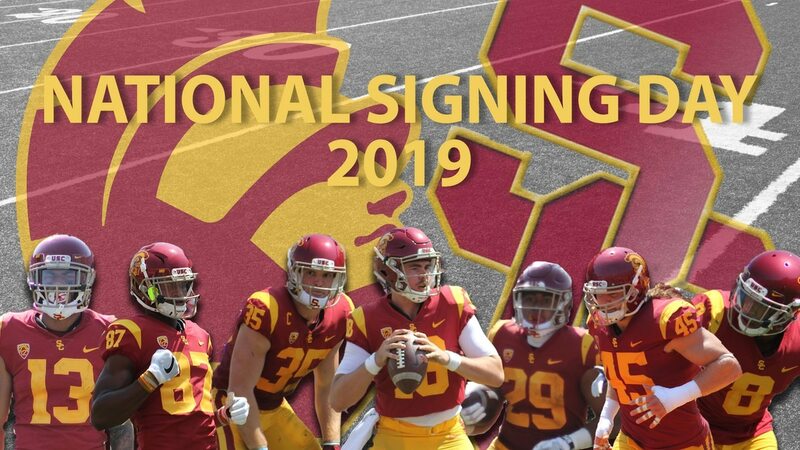 National Signing Day is on Wednesday, Feb. 6, and USC is looking to close out big to overcome an otherwise disappointing 2018 season. USC currently has nine early enrollees as well as another nine who have signed their National Letter of Intent. The nine early enrollees will be eligible to participate in spring practice. The team has received four hard verbal commitments. Receivers Kyle Ford and Puka Nacua along with secondary players Jaylen Watson and Kaulana Makaula have given their word that they will sign with USC on Wednesday. Nacua has officially visited other Pac-12 schools after giving his verbal commitment to the Trojans. With a solid four-star rating, the weak-side defensive end is ranked by 24/7 Sports as the No. 56-ranked football recruit in the country. Jackson signed with the Trojans in December in a tight race with Arizona State. The four-star cornerback is ranked by 24/7 Sports as the No. 21-ranked recruit in the country at his position. Williams turned down offers from Alabama and Notre Dame, among others, to join the Trojans. Tight end Wolfe is a 6-foot-5, 249-pound PrepStar All-American. Wolfe is ranked by 24/7 Sports as the No. 8-ranked tight end recruit in the country and will look to add an extra edge to USC's offense. The three-star safety is ranked by 24/7 Sports as the No. 31-ranked recruit in the country at his position. The IMG Academy recruit picked the Trojans in a close recruiting battle with Georgia Tech. Linebacker Ralen Goforth, a three-star recruit, comes to USC ranked by 24/7 Sports as the No. 22-ranked outside linebacker recruit in the country. Goforth is high-school teammates with recruit Jude Wolfe. Figueroa, a junior college transfer comes to USC to finish out his collegiate career. The 6-foot-5, 270-pound strong-side defensive end is ranked by 24/7 Sports as the No. 24-ranked top football recruit in the country. A pro-style quarterback, Slovis will compete for back-up reps. Ranked by 24/7 Sports as the No. 26-ranked pro-style quarterback recruit, Slovis also carries a three-star rating. A three-star recruit and 2018 PrepStar All-Western member is ranked by 24/7 Sports as the No. 35-ranked inside linebacker in the country. Quinones is a three-star defensive lineman is ranked by 24/7 Sports as the No. 84-ranked strong-side defensive end recruit, but will likely play offense for the Trojans this year. Quinones also played in the Polynesian Bowl last month. Linebacker Maninoa Tufono signed with the Trojans in December and is ranked by 24/7 Sports has the No. 12 inside linebacker recruit in the country. Tufono will join the Trojans upon completion of his senior year. London signed with the Trojans in December for both football and basketball. The four-star recruit is ranked by 24/7 Sports as the No. 35 wide receiver recruit in the country. Offensive tackle Jason Rodriguez is ranked by 24/7 Sports as the No. 24 offensive tackle recruit in the country, but Rodriguez has played both ways as an offensive and defensive tackle in high school. Where he will play will be of note during the summer. Christon, a running back with a three-star rating is ranked by 24/7 Sports as the No. 30 running back recruit in the country. He will look to bolster USC's running back committee. Rae, a 6-foot-5 tight end, has also been recognized as a 2018 PrepStar All-American. He is ranked by 24/7 Sports as the No. 22 tight end recruit in the country. Defensive tackle Dejon Benton signed with USC after decommitting from Washington State. The three-star recruit is ranked by 24/7 Sports as the No. 77 defensive tackle recruit in the country. Cornerback Trey Davis, a three-star recruit, was named a PrepStar All-Western Region player as a senior. Davis will no doubt provide immediate relief for the Trojans' secondary, which was hit by injuries during the season. After transferring from Hilo High in Hawaii to Narbonne, Livai was a 2018 PrepStar All-Western Region player in his senior season. The three-star recruit is ranked by 24/7 Sports as the No. 76 offensive guard in the country. USC will look to secure the verbal commits and make any last-minute moves necessary. Coach Clay Helton and new hire Graham Harrell will have their work cut out for them on Wednesday. 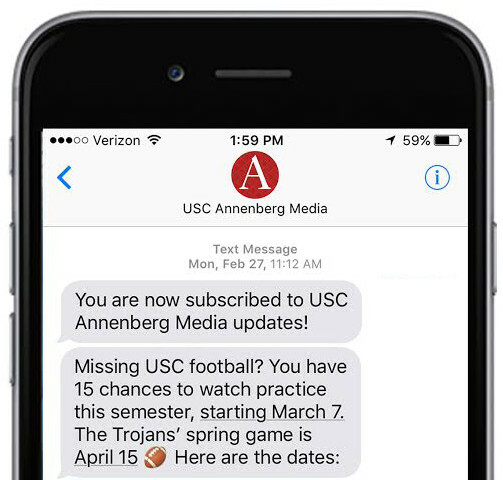 USC Annenberg Media will provide all the latest updates on web and social media. Check back here to see who will join the Class of 2019.